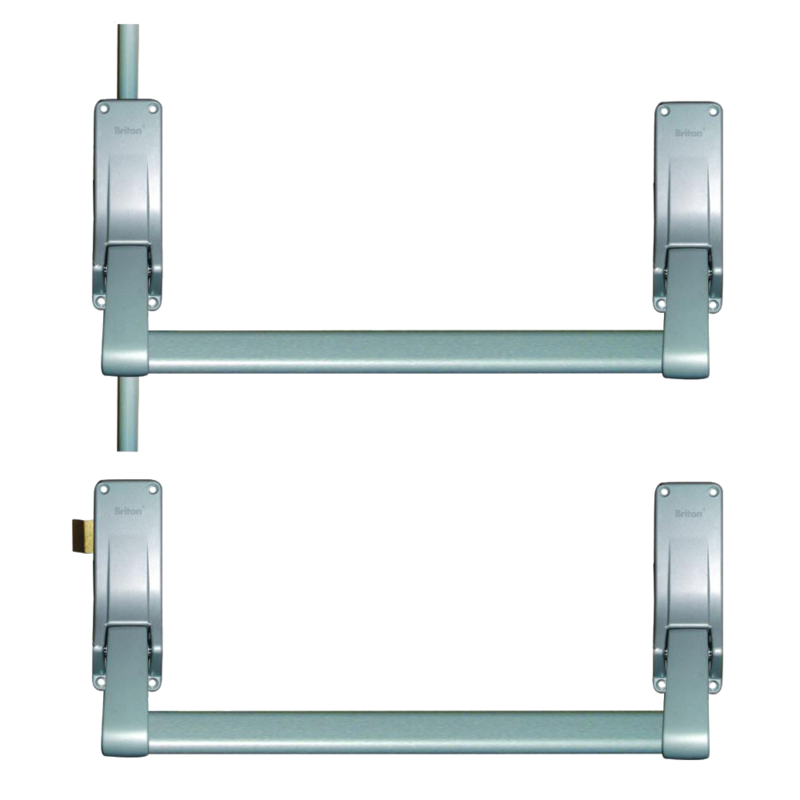 The Briton 377E is a push bar double rebated door panic set suitable for doors with maximum dimensions of 2500mm high x 1300mm wide. 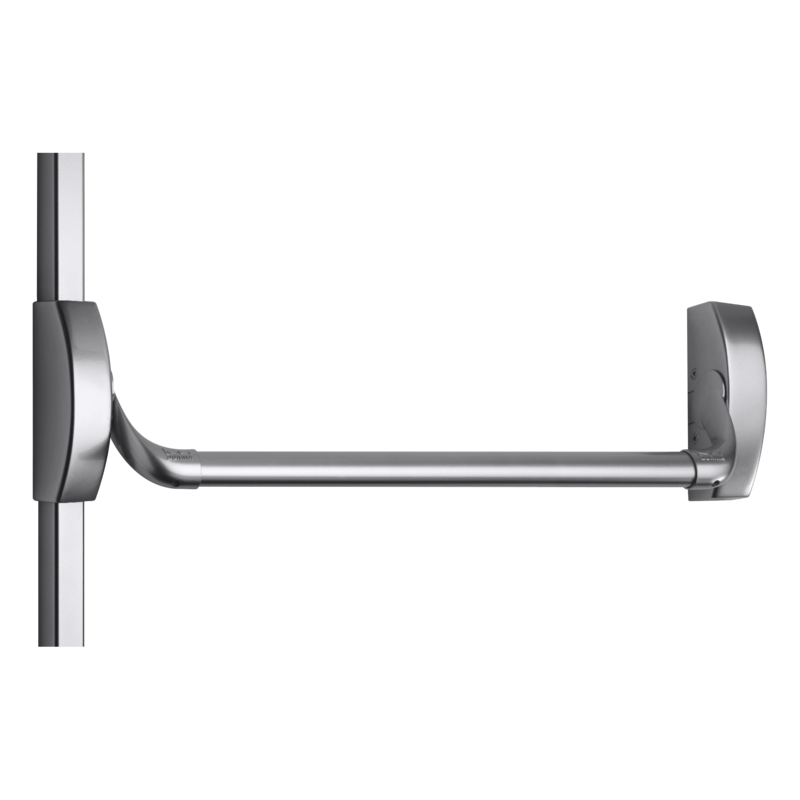 This product is designed for use on double rebated door sets, and features a two point locking device for additional security and an `anti-thrust` device which prevents unauthorised retraction of the latch bolt. 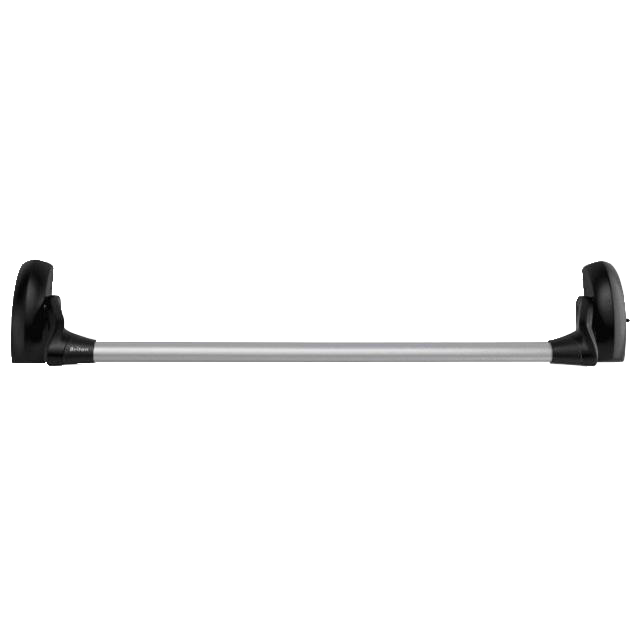 The 377E, furthermore, has adjustable top and bottom shoots, and is supplied with an easy clean socket. 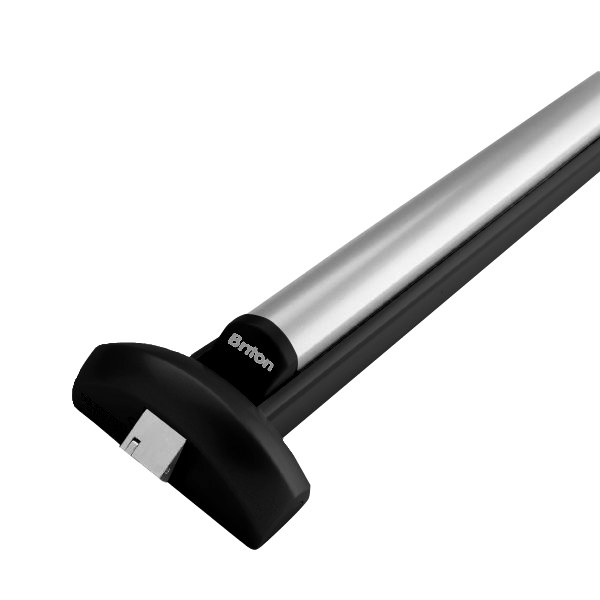 CE marked and compliant with BS EN 1125, this 561 series modular push bar panic exit hardware from Briton is a robust and reliable choice of one point locking push bar with a 5 year manufacturer’s guarantee for added peace of mind. 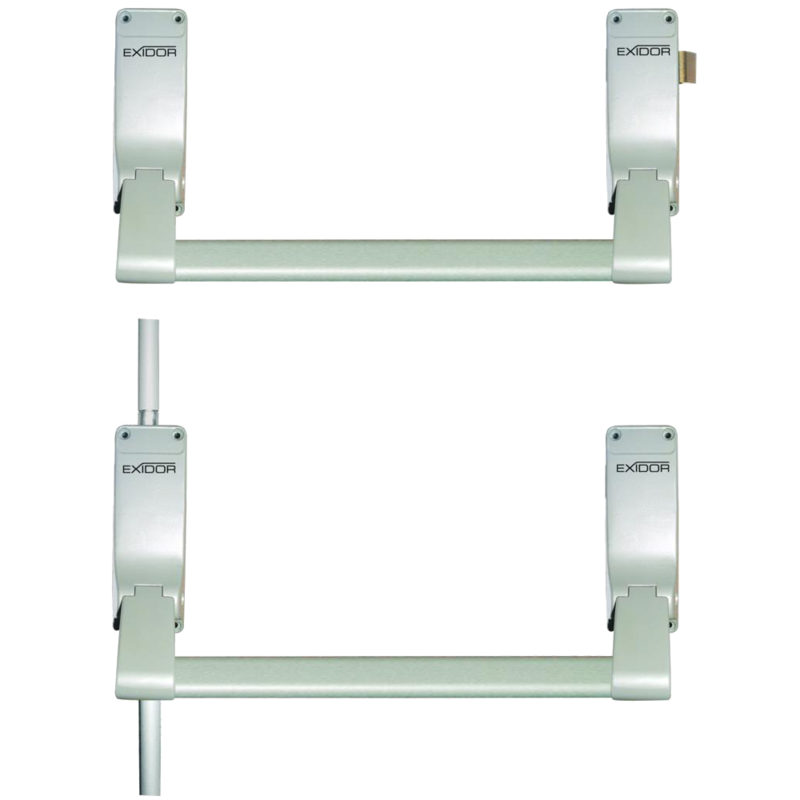 These units are easy to use, with a unique snap-on FastFix installation method which reduces installation time to approximately 7 minutes (half of the previous time). 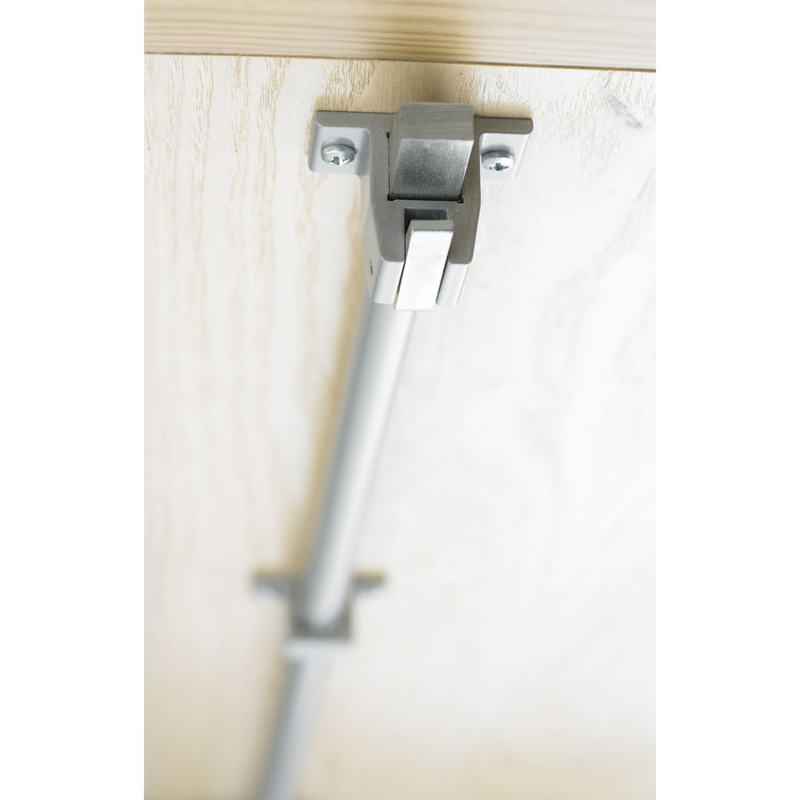 Supplied with an easy clean socket, these push bar operating devices are available with a choice of finishes and are suitable for use on either right or left handed doors, as well as being suitable for use on fire doors with a rating of 120 minutes for timber doors. 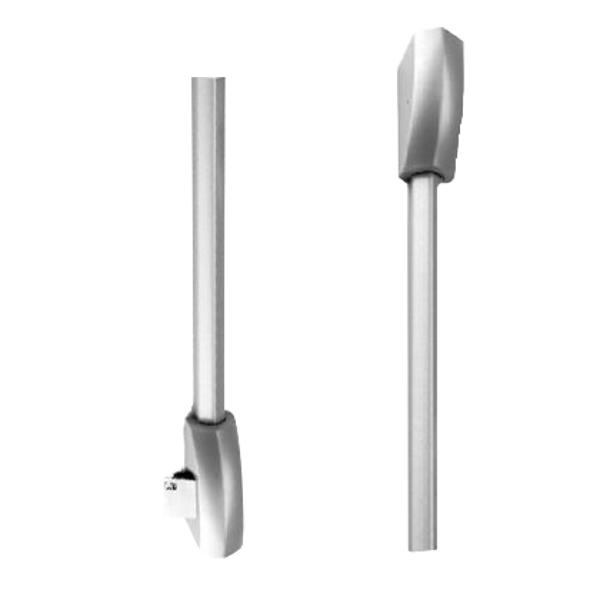 These Pullman Latch Kits from Briton are designed to suit the 570 range of Briton Panic Exit Hardware. 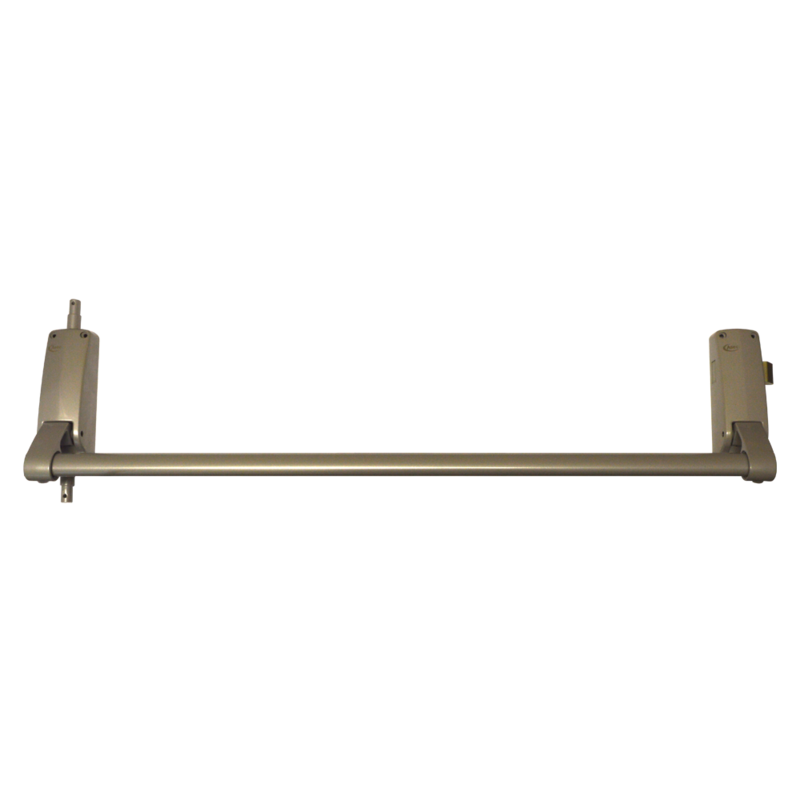 They are available in two styles, with either latches for top and bottom use or for upper and lower side use, depending on how the touch bar is intended to be installed. 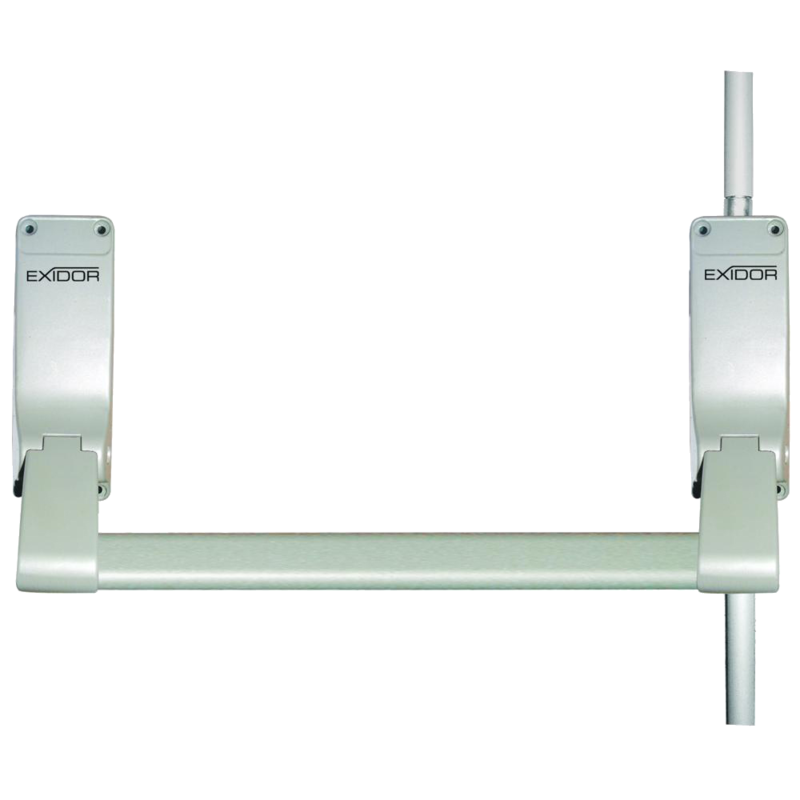 The Dorma PHA 2220 Standard Panic Bolt is a two-point locking panic device to suit door widths up to 1000mm. 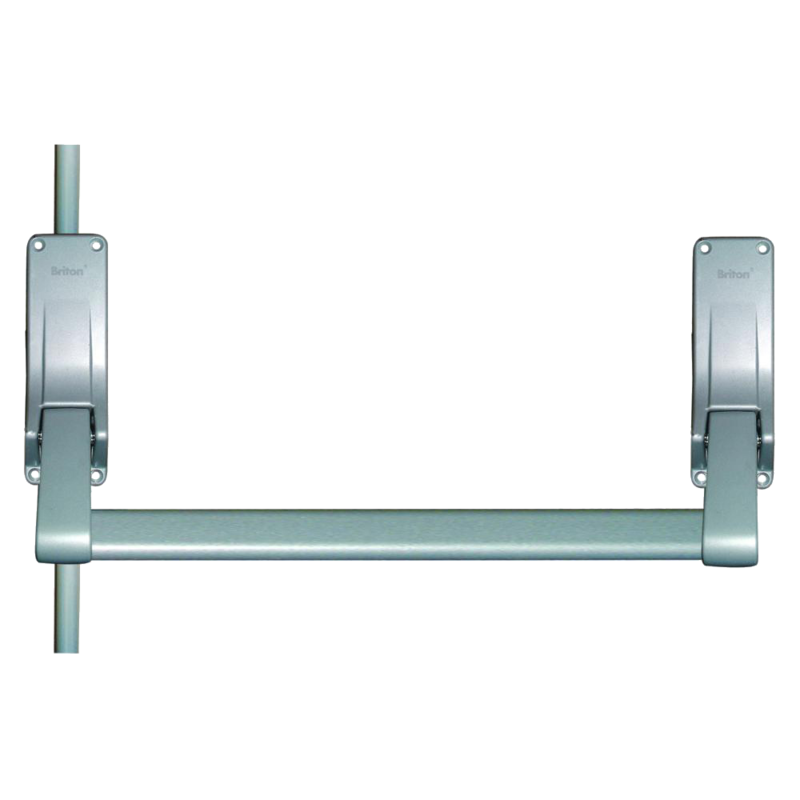 Like the rest of the Dorma PHA 2000 range, this unit has been tested in accordance with EN 1125 and carries the CE mark. 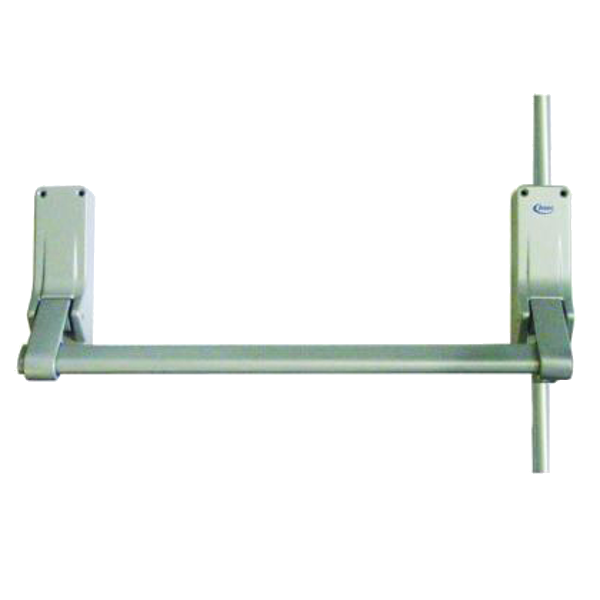 This double-point locking unit with steel top and bottom shoot bolts and an operation bar which is suitable for use on fire and smoke check doors and is fitted with a dogging device to hold the latch in retracted position therefore allow free access if required.